Newborn sized moccasins in 3 diamond design. Baby girl moccasins in pink & white Shoshone design. Turquoise blue baby moccasins with Shoshone design. 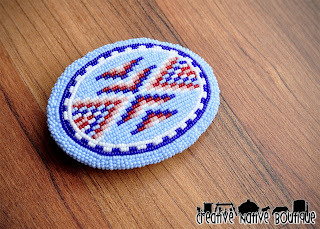 Available in my shop on ETSY! 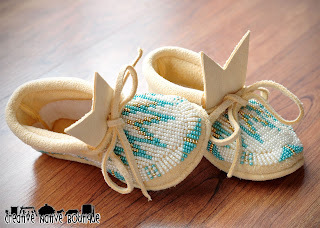 These fully beaded baby moccasins size 3 are also available to Purchase in my shop on Etsy! 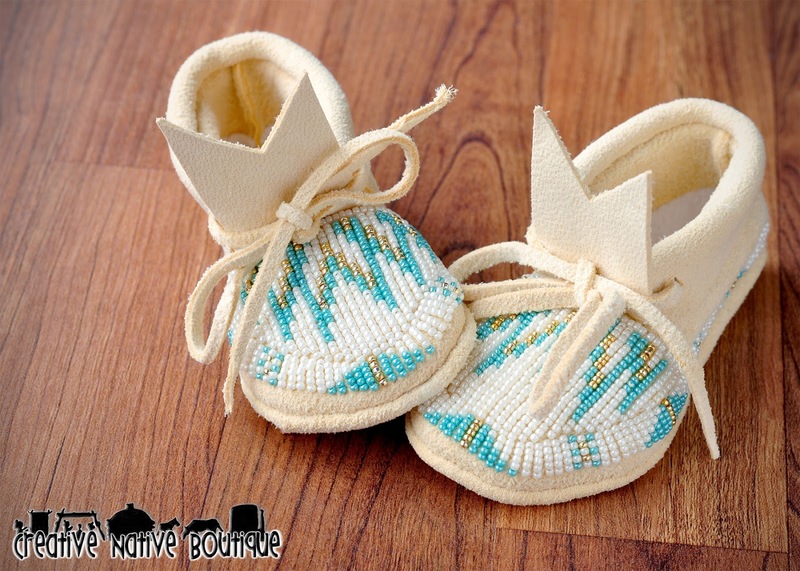 They are fully beaded with size 11 beads in a pearl white, gold and sea-foam green. They are one-of-a-kind and would make thee perfect gift for that new mom-to-be! 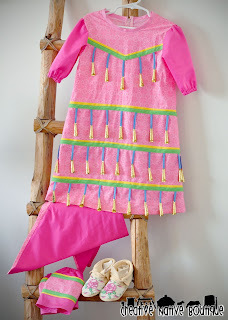 This little Jingle Dress turned out so cute. 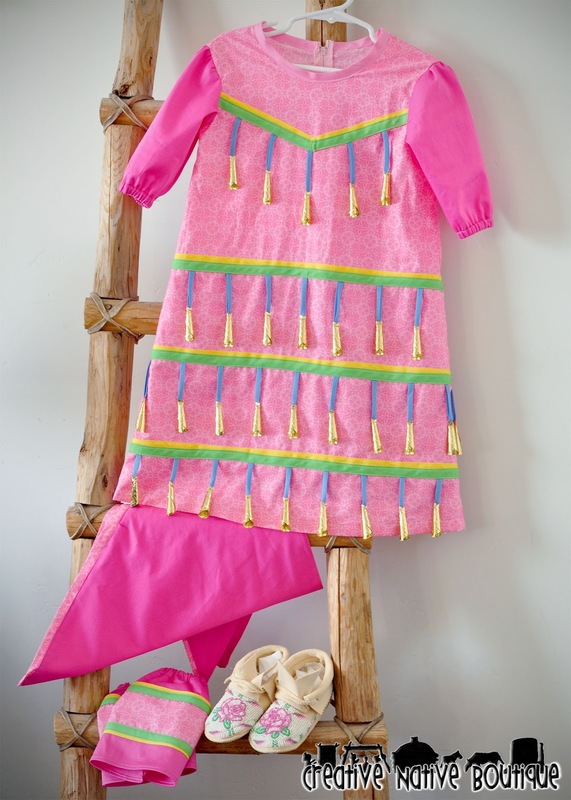 It's gorgeous pink colors are perfect for that itty bitty Jingle Dancer! 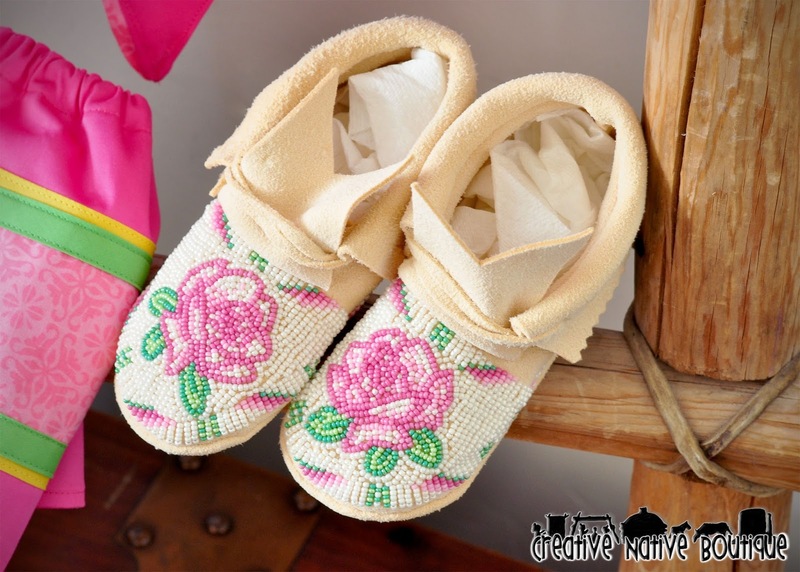 Fully beaded rose moccasins are the icing on the cake for this beautiful one-of-a-kind outfit! She'll be turning heads at the next Pow Wow! 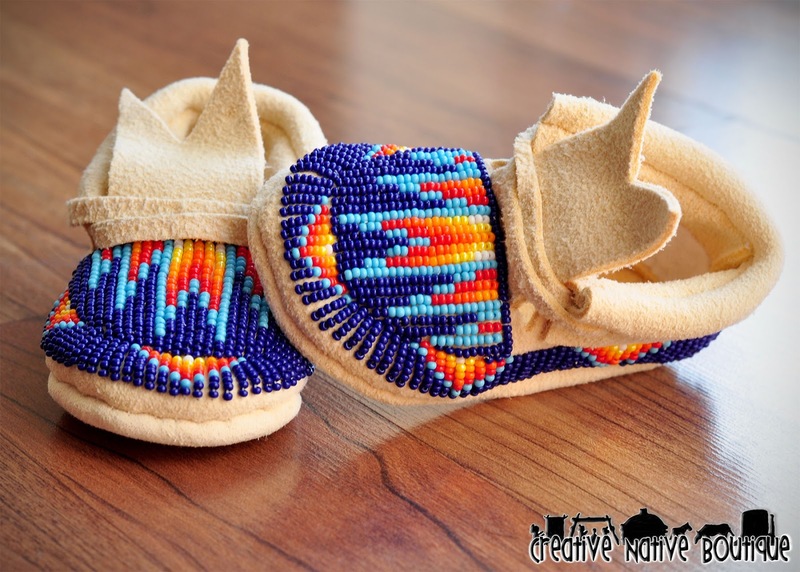 This gorgeous pair is on it's way to New Mexico. 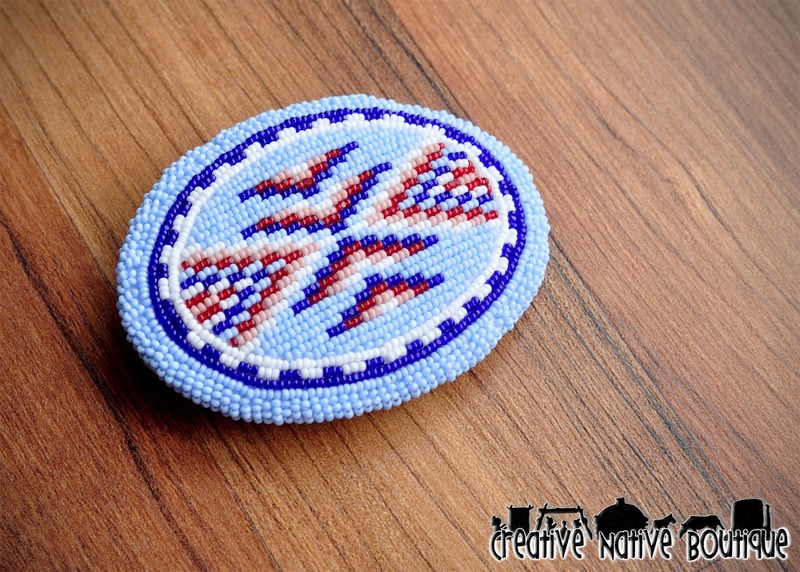 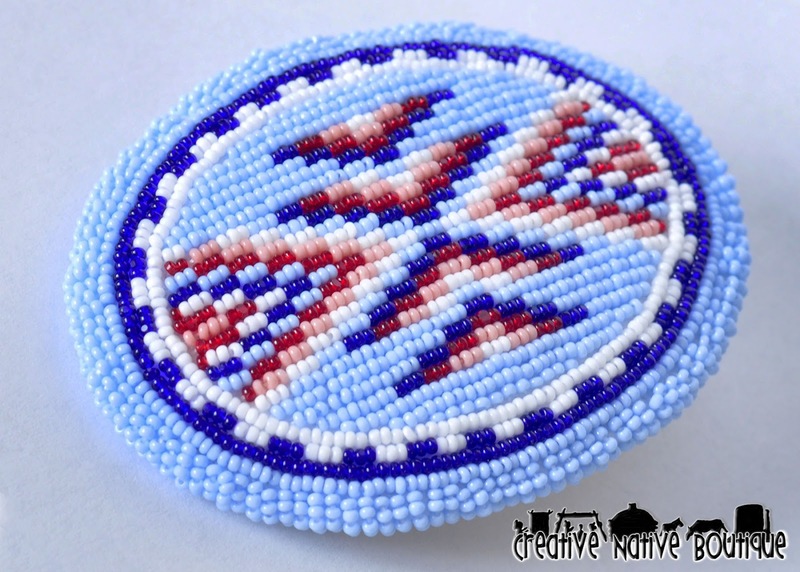 The blue is so striking agains the turquoise and fire colors in this traditional Shoshone design. 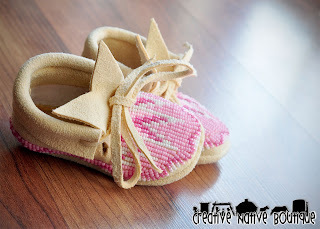 Perfect for that brand new baby! 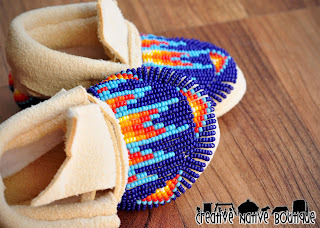 These were a Custom Order. 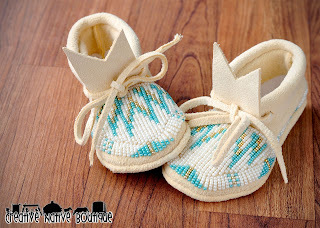 Baby size 1. Fully Beaded. 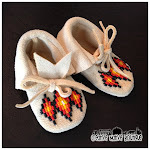 Custom Moccasins for Baby Girl! 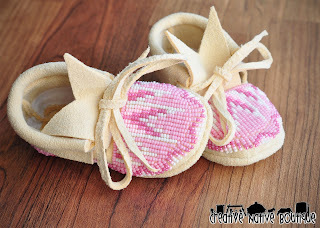 These moccasins turned out perfectly...and will be so cute for that new special Baby Girl! 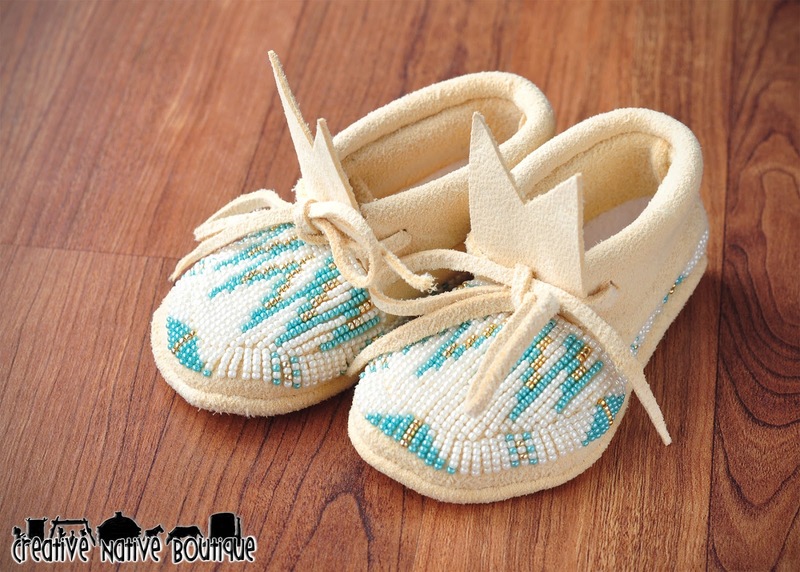 They are a size 1. 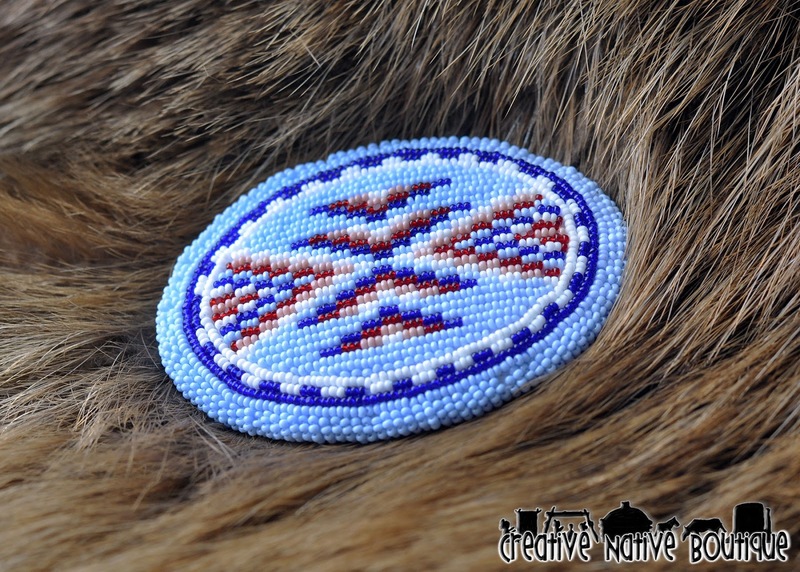 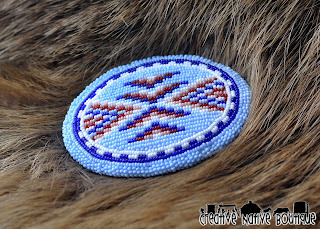 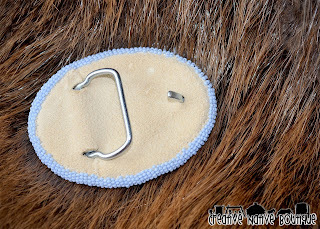 Fully beaded with size 11 seed beads and hand sewn on to tan deer hide. These moccasins are extra soft for that new bundle of joy! 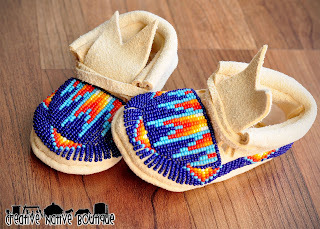 They were a Custom Order and are on their way to Maryland! 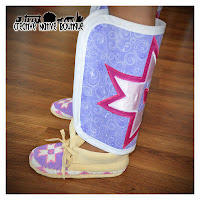 Little Girl's Custom Jingle Dress with matching moccasins. 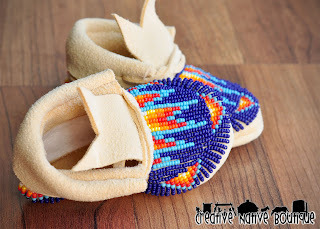 Little Girl's Custom moccasins & matching leggings.